Drinking water is crucial for your continued survival as well as optimizing your health. When you drink enough water you are more alert, energetic and athletic. There are few simpler steps towards improving your health than drinking enough water each day. The recommended daily intake is nine cups for women over 19 years of age, according to Dieticians of Canada. But all water is not the same? There can be hidden dangers lurking in your pipes, or even in the company water cooler. Tap water is regulated according to the needs of each province, and based on the Guidelines for Canadian Drinking Water Quality. These guidelines focus on keeping impurities in tap water within safe levels. In general, tap water is safe to drink—so long as these impurities are kept at a minimum. This is usually done through municipal water filtering and the addition of chemicals such as chlorine, which helps reduce the risk of waterborne disease. Another issue with tap water is that its quality is partly dependant on the pipes that transport it. A report from the Canadian Water Network cited over 60,000 households in cities such as Montréal and Toronto that are still using legacy lead-service pipes. Lead pipes should be completely replaced to ensure that high levels of lead do not make it into the bloodstream. Lead is gradually bio-accumulated in the body. Over time, high levels of lead can cause headaches, abdominal pain and memory problems, as well as anemia and even death. Several types of water purification systems work via distillation or reverse osmosis to remove lead from water. In Canada, bottled water is considered a food when it comes to federal regulation. This means it must adhere to the Food and Drugs Act that set standards for proper packaging as well as microbiological standards. There are two main forms of bottled water: spring and mineral water, which come from underground water sources rather than municipal ones; and water from alternative sources, which can be changed from its original form to fit human drinking needs. Any water taken from an alternative source must have its water treatment method listed on its label. For example, demineralized water has gone through a process, differing from distillation, that limits its mineral content to fewer than 10 parts per million. You can also have larger bottles of water, such as those used in water dispensers, delivered directly to your home and treated to your specifications. Still, there is a darker side to the continued consumption of bottled water. According to a report by Environmental Defence Canada, less than half of plastic bottles sold in Ontario actually make it into the recycling system. This leads to almost one billion plastic bottles—that do not decompose—ending up in landfills, as well as littered around the community. Not everyone can afford the sometimes expensive options of installing a water purification system in their home. 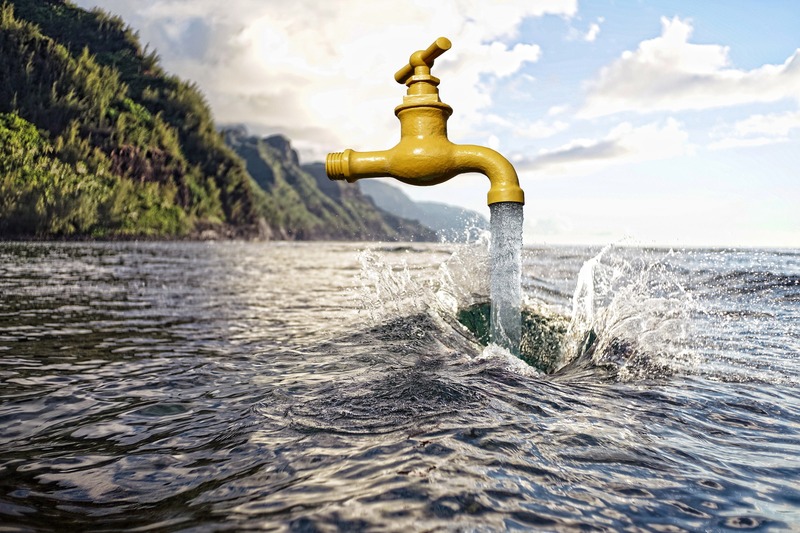 If you are concerned about the quality of your drinking water, consider investing in smaller-scale water treatment option such as a filter that can be connected directly to your tap or purchasing water that is bottled in glass for reduced environmental impact. At the end of the day, drinking water is required for life to go on. It is up to you to decide where your water is sourced, based on balancing your personal needs. Having a healthy business means more than having a strong bottom line. This family’s cross-continent run for health stops for very few obstacles — large mammals included.